Next month, CNN’s ‘Talk Asia’ has got its eyes on Indonesia – the world’s fourth largest country. CNN takes a look at some of the country’s biggest game changers and the personalities that are making waves in the archipelago both domestically and internationally. In this episode, CNN’s Manisha Tank sits down with three key Indonesian figures who are young, innovative and represent a rapidly changing and fast developing Indonesia. 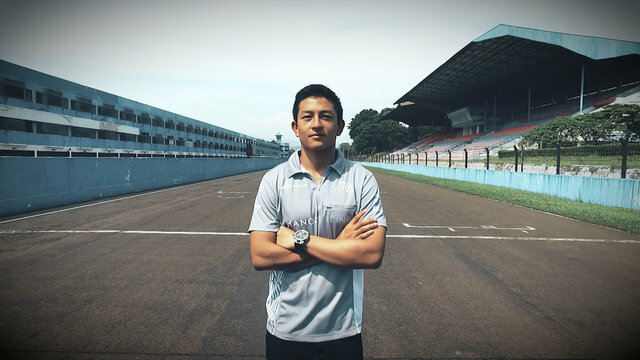 ‘Talk Asia’ catches up with Indonesia’s first Formula One racer Rio Haryanto (Pictured), as he opens up about making history and representing Indonesia on the Grand Prix stage. Manisha Tank then meets one of the founders of lifestyle concept group Potato Head, Ronald Akili, who is representing Indonesia internationally. At his notable Potato Head Beach Club in Bali, Ronald Akili opens up about his success in starting one of the country’s most successful business brands. Finally, CNN gets access to one of the hottest start-ups in Indonesia, Go Jek, to find out how Nadiem Makarim is hoping his app will help solve an age old problem: traffic and congestion.